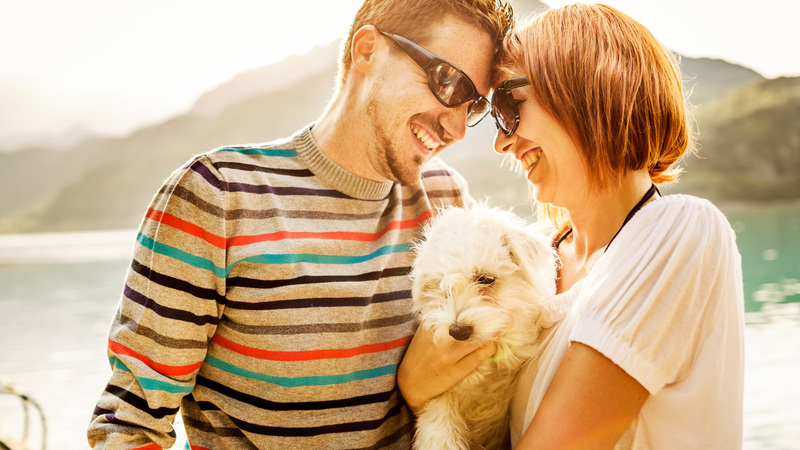 Having a pet can be the perfect way to start off your married life. It allows you to share the responsibility and enjoyment of caring for something and can be the perfect way to hone your skills and get ready for children. You have already made a huge commitment to your partner so it is essential that you get a pet that complements your new life. A bird is an excellent pet for a newlywed couple who might not have the time and commitment for a larger or more demanding one. Not only are they incredibly intelligent and easy to train but they are also very entertaining and will often surprise their owners with their human-like antics. Birds require very little grooming and naturally keep themselves clean, so for newly weds who don’t want the added pressure of a high-maintenance pet they are a good compromise. This doesn’t mean birds are not sociable nor friendly. When given proper training and socialisation they can be as affectionate as any cat or dog. Having a cat could be the best pet to start off your married life. Cats are incredibly independent animals and are used to being left alone for a long time. This means that newlyweds won’t be tied to their homes and can go off and enjoy married life while still basking in the love and affection that comes from having a pet. When you are at home, cats are incredibly affectionate and love being petted and it will really feel as if you are part of a family. A house rabbit can be a good furry addition to your family. It is best to keep the rabbit in a cage while you are out of the house. However, when you are around the house, a perfectly trained rabbit can be a great companion for you and your partner. As well as being extremely cuddly and sociable, rabbits are renowned for their strong personalities – just like dogs and cats – but they can be less work and responsibility. You can also litter-train a rabbit with proper care and dedication so it can be allowed to run around the home, just like a dog or cat. Dogs are by far the most popular pet in the U.K. As well as being very affectionate, loyal and sociable, they can really become part of your family as it expands. Dogs are great companions for children and become incredibly attached to their owners. This type of affection can be a great way to begin a new chapter in your life, as dogs can live up to 18 years so they will adapt with you. Training a dog together, taking it for walks and playing games can be a pleasant way to spend quality time with your partner, It can also give you both the chance to learn how to factor the needs of others into your new life, especially if you are used to thinking only about yourself. When buying a dog think about your limitations, such as work, the size of your house and whether you envisage having children soon. You also need to consider how much attention you can actually give your pet before you commit to it, as giving an animal back is a harrowing experience and you don’t want the relationship with your husband to suffer because of it.